Precisely as Concerto: A Beethoven Journey opened at the Laemmle Theaters in Los Angeles, KUSC radio, the city’s classical music station, aired the results, in ascending order, of its annual Audience Favorites contest, and the composer who made it onto the list of the “Top 100” the most times was Ludwig van Beethoven. He was also the one who surpassed all others and was voted number-one. What’s more, the same exact results occurred last year. Now the director and producer of the series, Exhibition on Screen brings this musical heaven to the cinema theater. From writer-director-cinematographer Phil Grabsky, who has brought music lovers the enthralling documentaries In Search of Mozart, then … Beethoven, then … Hayden, comes the in-depth focus on Beethoven’s own chosen performance instrument. Concerto – A Beethoven Journey chronicles Leif Ove Andsnes’s epic four-season tour with the master composer’s music for piano and orchestra, which took him from Norway to 108 cities in 27 countries for more than 230 live performances, with complete cycles of Beethoven’s five piano concertos at New York’s Carnegie Hall and London’s BBC Proms. 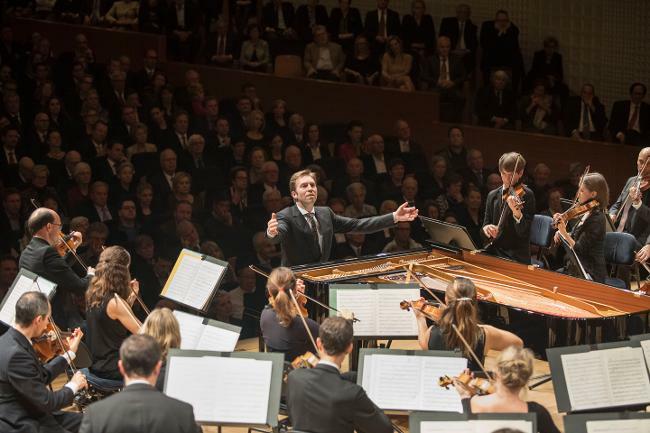 We follow Andsnes as he conducts the Mahler Chamber Orchestra from the keyboard in high-profile residencies in Bonn, Hamburg, Lucerne, Vienna, Paris, New York, Shanghai, Tokyo, Bodø and London, taking on further Beethoven collaborations with such world-class ensembles as the Los Angeles Philharmonic, San Francisco Symphony, London Philharmonic, and Munich Philharmonic. 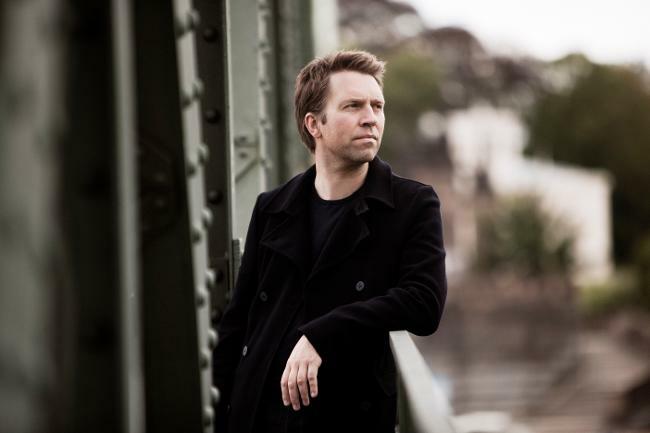 As we travel with Andsnes across the world and with Grabsky through Beethoven’s career, Concerto draws parallels between Beethoven’s predicaments as a music professional and Andsnes’ own, at times even mirroring their personal lives and dispositions. Quips and observations from Beethoven’s letters, brilliantly spoken in voice-over enactments, are juxtaposed not only with his music but also with Andsnes’ commentary addressed directly to us and even his backstage promotional activities; we see how events in Andsnes’ family life that may not have resulted tragically, as in the case of Beethoven’s increasing deafness (which actually began early on, we are told) apparently placed the pianist in the position of being able to imagine the composer’s full range of emotions for which his music is not only famous, but beloved. We get to know both pianists (the piano was Beethoven’s instrument of choice) more intimately and to appreciate the connections between one artist and another. I interviewed Phil Grabsky for KINOCaviar when he was in Los Angeles with his film, In Search of Beethoven, and then I met him one more when he was here with In Search of Hayden. I couldn’t miss the chance to talk with him again about his latest work. KINOCaviar	In Search of Beethoven was first-rate, so why another Beethoven film? Phil Grabsky	I am very proud of In Search of Beethoven, and it's a much loved film internationally, but this new film gave me a chance to revisit someone who is, after all, one of history's greatest creative minds and to seek something new and revealing. The first Beethoven film looked at his entire output — whereas this one explored what we could learn afresh from just one body of work. It worked a treat — the music, a fresh trawl through the letters, and, of course, Leif Ove Andsnes' wonderful insight all mix to provide a great accompaniment to the original film. KC	How did you meet Leif Ove Andsnes? PG	I talked to him when I was making In Search of Mozart. I was told he was one of the world's great pianists and one of the most articulate. I also learned that he is one of the nicest! I then interviewed him again for In Search of Beethoven and very substantially for In Search of Chopin. KC	How did you work together in coming up with his narration? PG	We talked continuously about the film, Beethoven, the letters, the music. On and off we had almost four years to ensure we were making a film with real insight and long-term value. KC	What did you newly discover (after your earlier film on the same composer) are some of the biggest myths about Beethoven? Did any of this knowledge come from Leif Ove Andsnes? PG	I think on the one hand the film reconfirmed that the popular image of Beethoven as dour and haughty is utterly misplaced. This is a man full of love, optimism, humour, as well as a dash of anger and impatience. What Leif Ove made so clear is that it's all there, in the music. I sensed that the five extraordinary piano concertos mapped Beethoven's biography, but Leif Ove made that even more certain. 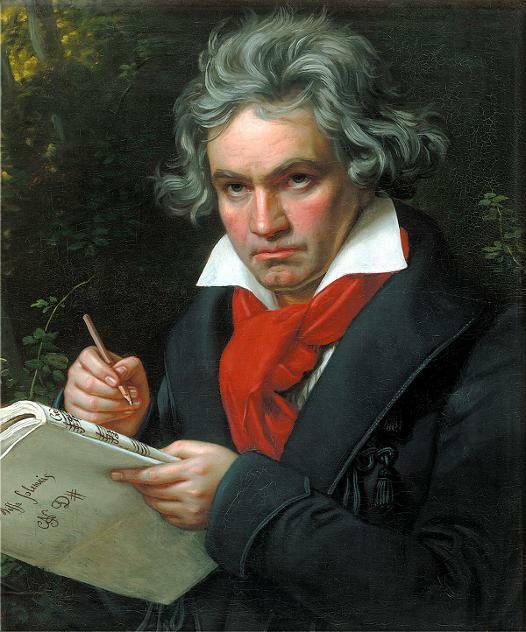 Of the billions of humans who had lived through time, this man Ludwig van Beethoven is one of the most creative. Extraordinary, isn't it? You have to want to know more about the who, why, what, when, etc. What the film also does is confirm that these five piano concertos are amongst the best ever written — and we were SO lucky to be on stage filming with Leif Ove and the Mahler Chamber Orchestra in what were the most popular, best reviewed concerts of the last few years. KC	How did you find the balance between the performances and Andsnes' voice-over or live-action instruction in this film? KC	How did you choose the Beethoven quoted passages this time? The (off-screen) actor is wonderful! PG	It took a long time to cast the right voice — and I could not now be happier. It's funny, though, because the voice in In Search of Beethoven is also perfect and yet quite different. I guess that shows the complexity of Beethoven. I had to work hard going back through the letters trying not to reuse the same as before (while not ignoring those I had used before that were perfect to use again), finding new insight, new humour, and maybe most importantly, finding letters (extracts) that chimed with Leif Ove's own life and experiences as a pianist — for example, Beethoven talks about the importance of traveling and we see Leif Ove with Dudamel in Los Angeles, or another time he talks about women and marriage and we see Leif Ove with his own wife and family. KC	You have some fascinating shots, close-ups of the musicians playing the second movement of the Concerto No. 5, their point of view (with the camera on their backs), which I think works well to let us enter the interior of Beethoven’s mind and heart and the imagination of the musician as we hear the music. How conscious were you of the camera angle, position, and distance in shooting the performances? PG	This is all planned — and key to really enjoying the music. Frankly, so much classical music is filmed in a very boring way. I love to get as close as possible (I even taped one camera to the Steinway!). Then editing is key, as ever. But we make it fun, emotional, energetic — just as it should be. KC	What does Beethoven mean to you personally? PG	He's an inspiration — he believed in the possibilities of humankind. He wasn't after fame and fortune: he just wanted to work hard at his chosen craft and be the best he could be — and any serious creative person today should feel the same. I do. Director: Phil Grabsky; Producer: Phil Grabsky and Seventh Art Productions; Screenplay: Phil Grabsky; Cinematography: Phil Grabsky. Color, 92 minutes. In English.